He was out of coaching when I talked with him at an office for this show, and about to go play golf. Soon enough, though, he was back in coaching with the Knicks, and would later coach against the Pacers in the Eastern Conference finals in 2013. Woodson and I go way back, although he doesn’t know it. He was a freshman at IU when I was a senior and covering the basketball team for the Indiana Daily Student. 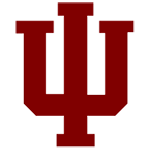 Before the season began – a season that would turn out to be the only one in Bob Knight’s career at IU not to finish with a postseason tournament appearance – I was writing freelance stories on some of the freshman members of that team. I went to Woodson’s dorm room and sat on one bed while he sat on another to talk about his upcoming career. He was a skinny kid with a big Afro then. Now he’s a slightly overweight, bald adult. That’s life for you. He’s had a great career in basketball, though, as a player and coach, and one of the few to come out of an Indianapolis public school (Broad Ripple) and make it to the NBA. He was one of Knight’s all-time favorite players to coach, and lasted 11 seasons in the NBA. He’s been a head coach in Atlanta and New York, and is now an assistant with the Clippers. Through all the holler and hardship, he’s maintained a calm, humble personality. He’s no doubt survived a lot longer in basketball than he could have imagined back when he was that skinny kid with the Afro.